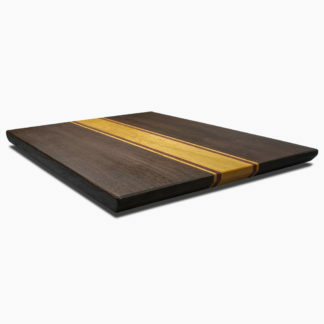 Very unique exotic handcrafted reversible and just the right size cutting board is made from Hard Maple and Walnut wood. 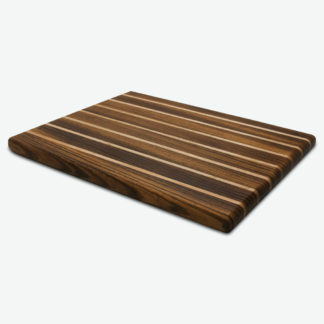 This is a very unique handcrafted Hard Maple and Walnut edge grain reversible and just the right size cutting board is made from select edge grain wood, Hard Maple and Walnut. This cutting board can be used on either side. 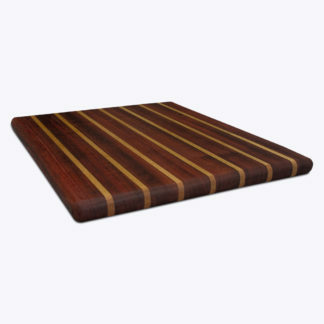 A good reason to select this cutting board with edge grain construction is to see the beautiful Hard Maple and Walnut figure on the cutting surface. By combining different colors and wood structures, each board has a unique and unrepeatable pattern. 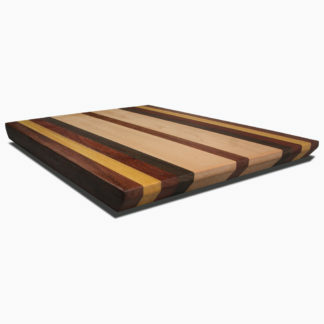 An edge grain cutting board from Quality Cutting Board Company will look great on your countertop.